Previous: How To Make Anjeer (Fig) Ka Murabba: Simple Recipe To Try At Home! 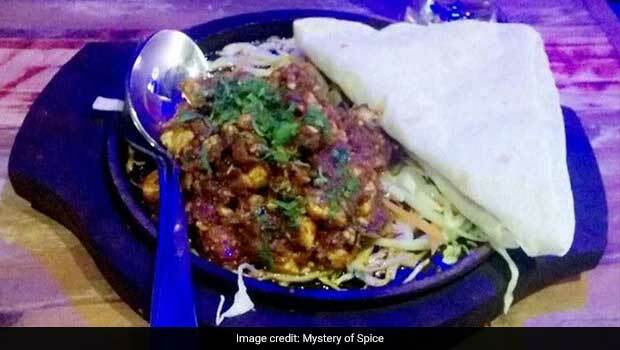 If soya is your thing, then this sizzler is apt for you. Made with minced soya chunks and a melange of Indian spices, this delight is served over a sizzling hot base and is paired with warqi paratha, which is crisp to perfection. The soya chunks are evenly coated in the masala mixture and have a smoky flavour. Pair it with coriander chutney and you’re done for the day. Paneer lovers, raise your hand! This appetising sizzler is too pretty to look at and tastes equally good. The minced paneer is generously marinated with hung curd, and is then cooked to perfection with a host of spices. The dish has a subtle taste of cardamom, which adds to its flavours. The delight is served with soft rumali rotis that are quite filling. For the non-vegetarians, there’s chicken tikka khurchan sizzler, which is also served with rumali rotis. The chicken tikka has a smoky flavour, which is sure to tantalise your taste buds. It comes with the same hung curd marination and has a bit of tang in it. End your sumptuous meal with another sizzler and satiate your dessert cravings. Brownie sizzler comes with brownie topped with vanilla ice cream and chocolate sauce. The base has sizzling chocolate sauce, which complements the brownie in the perfect way. So, the next time you happen to be around sector 104, Noida, head to this place and savour a sizzler of your choice! However, be careful while handling all these sizzlers as they are quite hot.